When Las Vegas is awarded an NHL team, the league will have to help the expansion team build a roster. The prospective 2017 expansion draft would be the first step in building an actual team. In 2000 the Minnesota Wild and Columbus Blue Jackets were awarded new franchises. They had rights to draft from a crop of players that were unprotected from established teams. If we go by the 2000 NHL expansion draft model, the awarded teams will draft 26 players each. 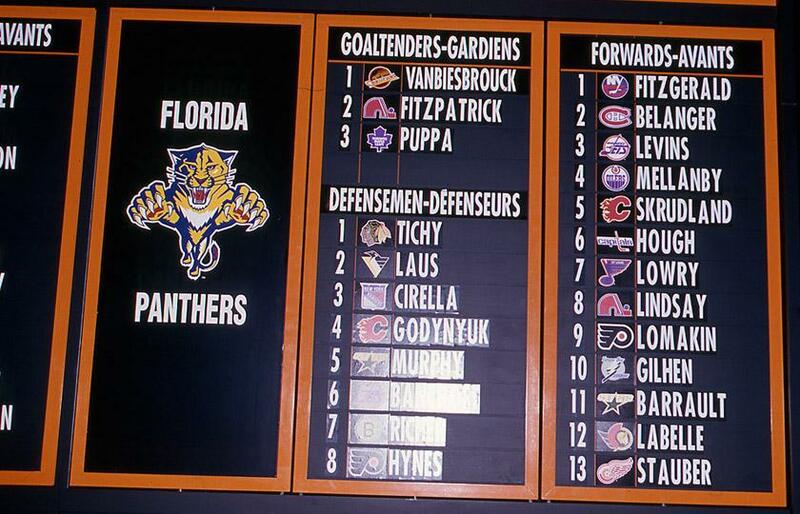 The first 24 picks from each team has to be used on 3 goaltenders, 8 defenseman and 13 forwards. The last two picks can be on any position. In 2000 the first six picks in the draft were goalies, an obvious move to establish the pipes. The NHL may come up with updated protected player rules for the 30 established teams but for the most part it’ll be close to the 2000 format. Teams were each allowed to protect either one goaltender, five defensemen, and nine forwards or two goaltenders, three defensemen, and seven forwards. Unfortunately for the new expansion teams most NHL teams have only have a handful of stars. Leaving mostly journeymen and role players unprotected. Looking ahead to the list of free agents in 2018, I made a somewhat educated guess to who may be unprotected. A few names of note but at the end of their careers. Both Henrik Sedin and Daniel Sedin might be unprotected, but each will be close to 38. Goalies Antti Niemi and Craig Anderson should be unprotected but they’ll be in their late 30s. Wingers Joel Ward, Jussi Jokinen and Patrick Maroon could all go unprotected but they’re not franchise wings. Defensively Clayton Stoner, Dennis Seidenberg and Matt Greene are a few names that could be available. Thankfully the NHL rookie draft will give the new franchises a chance to add real blue chip prospects and build a farm system. Some players that are available to be in the 2017 NHL draft are two Canadians Nolan Patrick, Gabriel Vilardi, and two Americans Max Gildon and Michael Pastujov.